We should not be surprised by this phenomenon of wolves in the Church, or even caught off-guard. We should just be prepared. Paul was well aware of this experience. He would see it happen in Galatia as wolves would come in teaching an augmented Gospel contrary to the Truth. And, in years to come he would see his dear Ephesus attacked and hurt. Paul had gone to great lengths to warn the leadership in Ephesus while en route to Jerusalem at the tail-end of his final missionary journey. Paul is desiring to get to Jerusalem, and rather than sail directly to Ephesus, he summons the elders of the Ephesian church to meet him in Miletus. Rather than simply send a letter, he wanted to meet with them, to exhort them face to face. Paul had spent 3 years encouraging and teaching these dear brothers. He knew they would desire for him to remain in Ephesus, but his sights were set on Jerusalem. And thus, he summoned them to Miletus. Let me suggest that these words would do well to fall upon the ears of all those called to shepherd the flock of the Lord. The onus of shepherding certainly involves the governing, the protection and the discipline of the flock, but Paul here is focusing on the “feeding” of the flock. First of all, Paul admonishes these men to be on high alert, foremost they are commanded to be on guard regarding themselves. In order for the shepherds to be able to minister effectively on behalf of the sheep, the shepherd must be sentinel over himself first. Subject to that the admonition is to act as protector over the flock. Paul reminds them that the office they hold is a divinely issued, conferred by the Holy Spirit Himself. In addition to that he points out the cost paid for the sheep over which they serve; nothing less than the blood of Christ was shed to purchase this flock–they are of invaluable importance to God. The privileged call to shepherd includes feeding and tending. Guarding, and disciplining. Loving and nurturing. What is meant to “be on guard” is not specifically itemized, though it seems clear that it minimally refers to resolute attention to orthodoxy, doctrinal precision. It is a reference to the shepherds of the flock guarding against threats which may attack, kill, divide, or destroy the flock under their care. Paul seems to intimate this in verses 29-30. The reason to be on the alert is because there are threatening agents lurking in the shadows who seek to cause harm to the church of God, these are the wolves about which he speaks in verse 29. Paul has celebrated some 3 years in seeing the church at Ephesus grow and thrive, but he understands that where the work of the Lord is, the enemy is certain to send a wolf. Paul has faithfully established the church upon the foundation of the gospel, and he knows that others will begin the work of destruction once he has departed. They will begin to chisel away at the foundation through false teachings, false doctrines to the sheep. For Paul, he knew they were kept at bay for the present, but that they would eventually come. And they did, and they wreaked havoc on the sheep. 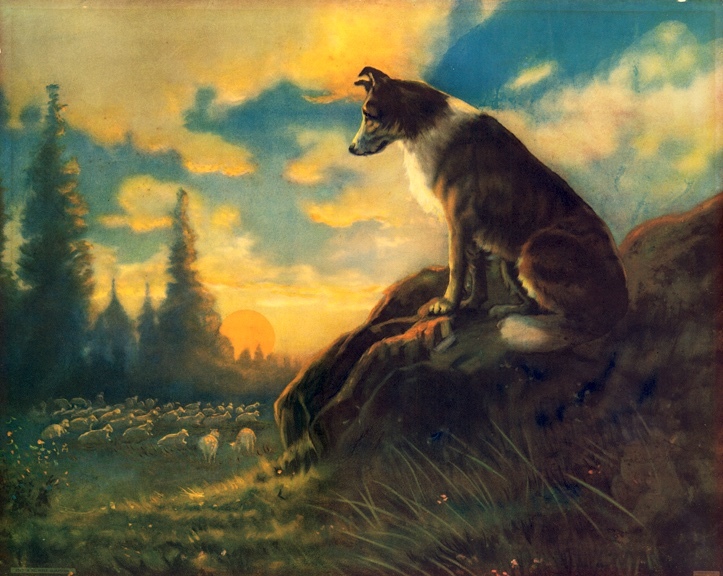 For many in ministry today, those wolves were not so patient, but rather invaded the church “while shepherds were watching their flocks.” In other words, they came in before we left and have been at odds with us along our journey of service. Paul does not lay out an exhaustive reminder of soteriology, or a systematic theology of the hypostatic man; he doesn’t remind them of the Gospel as he does in 1 Corinthians 15. Paul has spent years teaching them, they already have that in the vault. His exhortation is that they guard that which is already within them. He desires them to be attentive to personal spiritual health. Wolves would come, in time, to attack the teaching which Paul had given. These were not wolves lacking motive or intent, these were savage wolves, those intent on dividing and destroying the work which had been done. But, for the meantime, they were kept at bay. The horror of Paul’s word is that not only would attack come from some outside of the faith, but also from within the camp (verse 30). People, leaders who had professed faith would slip away from orthodoxy, cease preaching, cease rightly dividing the Word of truth, and veer off, in order to feed their own appetites (Philippians 3:18-19), in an effort to drag some of the sheep down. It was not an innocent mistake; it was intentional, with a marked purpose to mislead the saints. “Pay close attention to yourself and to your teaching; persevere in these things, for as you do this you will ensure salvation both for yourself and for those who hear you” (1 Timothy 4:16). As duly appointed minsters of the Gospel, as overseers of the flock, as under-shepherds to the Chief Shepherd, ours is the task to guard that which the sheep eat; to prepare them for the onslaught of attack which seeks to bring them down. For the benefit of the Bride, to the glory of God, may we serve well. Previous PostPrevious What Does the Wolf Say?